Here is a checklist of symptoms to signal it may be time for to give your body what it needs. If you answer yes to three or more of the questions below it may be time to hit the refresh button. Do you experience fatigue or low energy levels? Do you experience brain fog, lack of concentration and/or poor memory? Do you experience recurring yeast infections or foot fungus? Do you have less than two bowel movements per day? Do you drink processed coffees and colas during the day? Do you take prescription medications, sedatives or stimulants? Do you live with or near to polluted air, water or other environmental pollution? Do you crave or eat sugar? Do you have bad breath or excessive body odour? Do you experience depression or mood swings? Do you feel sleepy after meals, bloated or gassy? Do you have arthritic aches and pains or stiffness? Do you experience indigestion/acid reflux after eating? Do you eat fast food, fatty foods, pre-prepared foods or fried foods more than three times a week? Elevate mood, decrease inflammation, improve energy and sleep. This programme is changing lives. I wanted to share what happened to me. This is me, 2014. The above photo is my before, and the below photo after doing the 30 days to healthy living. I suffered with Shingles following a very stressful period in my life. I had pre and post Shingles fatigue. For about 4 months in the lead up to the episode, I had serious fatigue, I could barely function, I was struggling to keep up with demanding job, looking after my two sons , and running my business. I am normally full of energy and go at about 50 miles an hour. So this was a serious shock to me, and a big wake up call. Part of my symptoms included my digestion system completely failing, I was putting on weight and yet I wasn’t over eating. I had heard of the 30 days to healthy living, and I wanted my health and digestion back, and so a few months after I had gone back to work, and I had finished my phased return to work. I went all in. 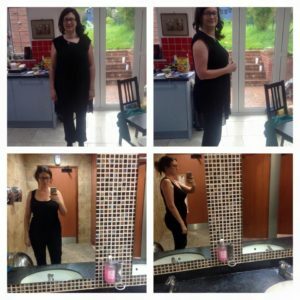 I actually really enjoyed the discipline of the programme, and I loved all the support from the Facebook group and the health coaches. I learnt so much. By about week 3 the weight started dropping off me, and it continued after I had finished the 30 days. My energy levels were back. My bloating had gone, and I had discovered that diary and gluten weren’t good for me. I had eliminated them from my diet during the 30 days, when I started adding them back in I could actually feel how my body was responding. What used to be a normal feeling, I now noticed and realized wasn’t normal at all. Things like the bloating, pains in my stomach and feeling really foggy headed. I was also amazed how my taste buds changed, and I now really don’t like processed sugary puddings. I have created healthy new habits. Do I need to give my body a helping hand to work at its best? Before I did the 30 days to healthy living I was feeling sluggish, unmotivated, and like I was in someone else’s skin. I was desperate! I was exercising regularly but not seeing the results I wanted. At first I was worried how hard it would be, especially with three young children. I worried that I would be cooking all sorts of meals for everyone in the family. I found it was really actually quite easy once you put your mind to it. I just changed what we all ate or would change something small on my plate, for example I would miss out the pasta on my plate and replace with courgetti instead. And as you start to feel better and see the weight drop off it motivates you to keep going. It is now a way of life for me. Having the support and encouragement of others is invaluable and so great to have people on hand to give instant answers. I have lost a stone and a half (10kgs) in just under 90 days and I feel great and like my old self again. I initially signed up for 30 days but wanted to keep going and didn’t want to stop once I felt and saw the changes. Everyone has been commenting on how great I look. I feel like my old self again. I’d absolutely recommend it to anyone wanting to loose weight and increase energy. Oh and my products that I can’t live without are the pomegranate fizz sticks and the RE9 daily Moisturiser! 4. Provide products that help our organs let go of toxicity–the lungs, the G.I., the liver, the skin, and the kidneys. The principles are in line with The Medical Medium and Energy Healing. About your 30 days to healthy living with me. 1-1 Wellness Coaching with me, offering daily support and guidance. With my expertise in mind, body and soul connection, and energy alignment, I’ve got your back throughout our time together. It works out to @£10 a day in UK for everything which includes part of the cost of your meals which is about the same as getting a muffin and a Latte at your local Coffee Shop each day. The Nutrition Arbonne Special Value Pack at 40% Discount includes everything you need. 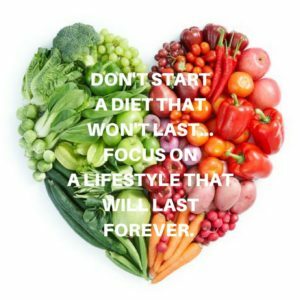 On our 30 Day Programme, the products replace unhealthy options and with recipes and shopping lists you only fill your fridge with what you need. No more throwing out food gone bad from the fridge! CLICK HERE to see what is included. What’s The Breakfast Club Programme? We do offer The Breakfast Club programme too, to help you get set up for success for the day. This programme is different in 2 ways from the above, the price point is less and it is focuses on starting your day right with your Breakfast and liver and digestion support. This programme with Protein Shake Mix is £207 Value for £145. Works out to 30% off. This will give your body a taste of what it feels like to start eating and feeling good! Your body is your home for life. Treat it well now so it will treat you well for the rest of your life. Are you ready? Click below to schedule your free Wellness Consultation today. We will talk about where you are right now and how you want to feel. We can talk about the best option of support for you so that you get the results and wellness you want.